I never really LOVED my previous shaving soap recipe. It worked, but I just didn’t love it. I finally got around to reformulated it. It’s a blend of coconut oil, palm oil, olive oil, Shea butter, castor oil, and apricot oil. I also tried something a little different. Instead of making them bars, I put them in twist tubes. I’ve seen shaving soaps made both ways and I know I always drop mine in the shower. I think the tube will make it easier to apply the soap. I also think it work well for men. Because it’s a new recipe and a new “container” I would like a few testers. I have three scent options: Bay Rum, Old Spice, and Arabian Spice. (All geared towards men.) If there are any men out there who would like to test a sample bar let me know (or women if you know of a man who’d like to try it out) let me know. I’ll send you a free bar. All I ask is that you pay for the shipping cost. 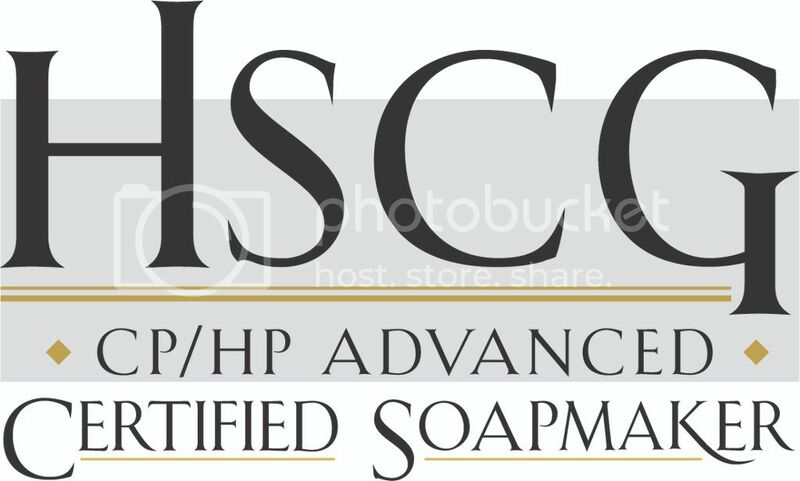 I will include a questionnaire with the soap. The questions will just be a guideline for you and it will give me feedback so I can see if I need to make changes or if it’s liked as is. Email me at: JenniferSoap [at] gmail [dot] com if you’re interested or comment here with your email address. I have a limited number available. I admit I was hesitant on buying another soap book. It wasn’t that I didn’t think it would be an awesome book it was that I have a SHELF FULL of soap books (and everything in between from hydrosols to cream soap). Every time I get into research something new I end up with a new book. So, I was like do I need another book??? Umm…yeah I did. 😀 Let’s face it, you can never have too many books (especially if they’re good)! I’m glad I bought the book. It’s gorgeously presented…I wish some of the books I used when I first started soapmaking had been like this one! The basic information is similar to many of my other books, but presented in a manner that is a bit more friendly and explains certain aspects better. For example the fact that you NEED to melt down your palm oil. Something I didn’t learn about until about a year into making soap and even then I stumbled on it completely by accident. The reason you REALLY want this book on your shelves (if you don’t already have it) are for the recipes! It’s not just different recipes, but step by step directions (with pictures) on how to do each recipe…something you’ll find most soap books lack. There’s a wide range of recipes covering everything from coloring to using natural ingredients. I remember when I first started out and I researched (what felt like) hundreds of recipes. I was still learning about oils and didn’t have a clue how to formulate my own recipe. Nor did I know how to tell if a recipe I found was good or not. That alone led me to numerous failed batches. This book would have been so helpful back when I was starting out. That said, it’s still a cool book to have now, even though I don’t necessarily need all the recipes. If nothing else it’s a nice base for me and I know how to alter the recipes to what I want so it will save me some trial and error too. There are definitely some recipes/techniques I’m going to try…of course I’ll end up putting my own spin on some of them. Cupcake Cuties (I’m finally going to try whipping some CP soap! It’s only been on my list to do for over a year :D). I need your advice. I screwed up a recipe. It’s made with Goat’s Milk (in place of water) and fresh pumpkin puree. Ran it thru the lye calculator and the lye/water is the same as my original recipe. So it’s not lye heavy and still usable. My question. With the extra palm and no coconut how do you think the properties of the bar will be? It’s super hard and I know I’ll lack some lather…but I think with the other oils in it it shouldn’t be too drying and should still be ok. Your thoughts. Melts more easily to the touch. Maybe a little less greasy??? Next: I’ll try the same proportions but use Avocado butter instead of Mango and probably 80% beeswax. I have a bunch of different recipes I want to try still (the list seems to never end) and I have a bunch of different techniques I want to try. I’ll get to them all eventually. I’m sure some will work and others won’t but the fun is in experimenting! 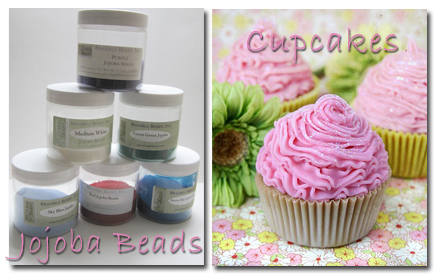 Next up on my list (once I finish the order I’m doing for Eli’s Treasure) are cupcake soaps! And I discovered that there are “sprinkles” for soap! They’re called “jojoba beads”. They’re round balls that look like sprinkles. They’re a little smaller than what most people are used to with baking, but I still think they’ll be really cool. I also have some glitter I can use. 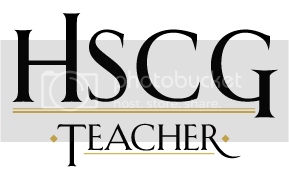 The picture below is similar to what I’ll be trying: i.e. the goal is that my cupcakes come out looking similar to these. The recipe involves Shea Butter! Which has me so excited because I LOVE Shea Butter soap. The other picture are my jojoba beads! I can not wait to use them! 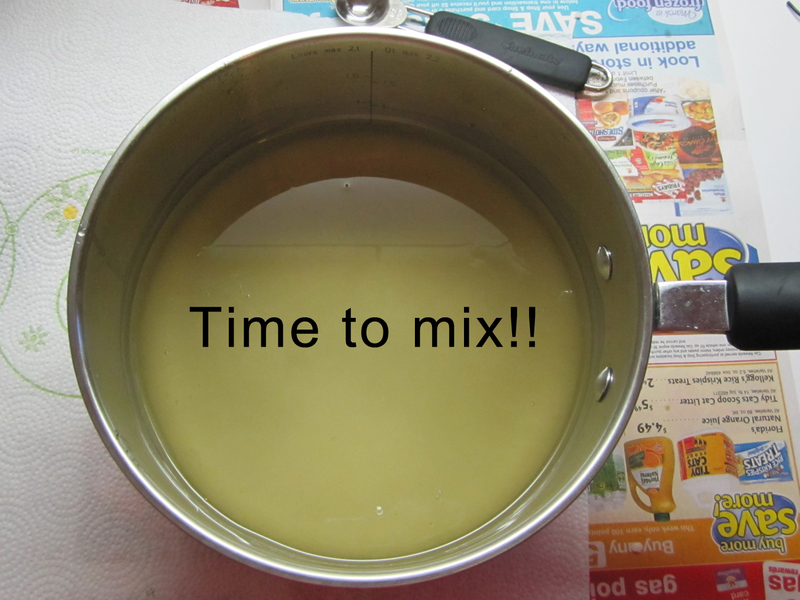 Pictures of me making my Baby Soap recipe! So first off, I FORGOT that I was going to take pictures until I’d already melted the oils *sigh* I know! I know! But I did remember before it was too late to take any pictures and I get get a picture of me using my new toy! 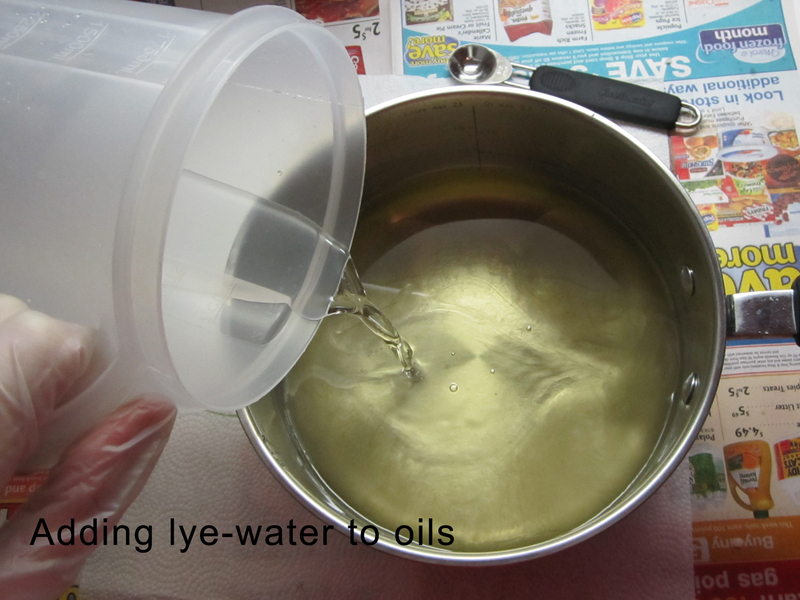 Step 1: Weighed out the oils, water and lye. 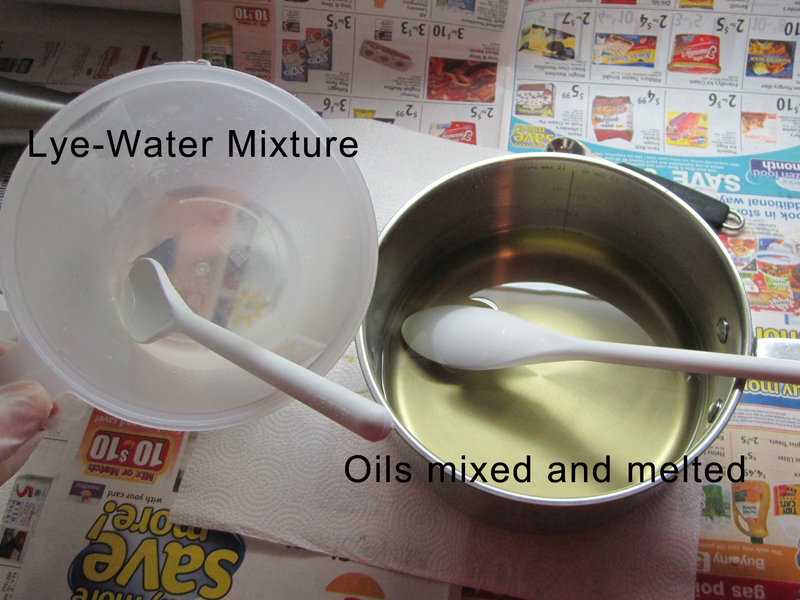 Mixed the water and lye together and melted the oils. Once the temperatures were equal it was time to mix the two liquids together. Step 2: Dumped (normally I pour slowly as I mix, but since I was using the hand blender I just dumped) the water-lye mixture in with the oils. Step 3: Mix the liquids together! 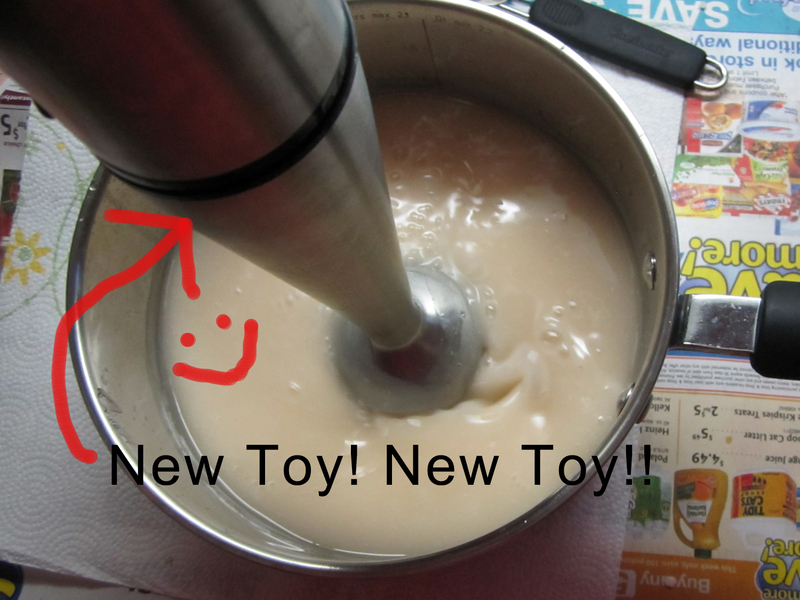 Using my new toy! 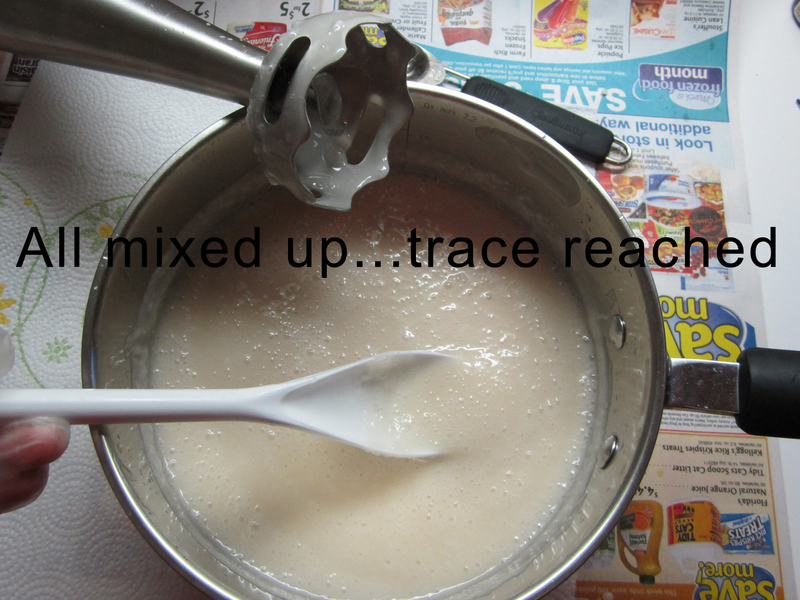 Step 4: Mix till I reach trace. Step 5: Time to add the carrot seed oil into it. Give it a good mix and then it’s ready to pour in the molds before it starts setting up on me. This recipe had beeswax in it and I’ve come to find that any recipe with beeswax 1) the oils have never separated on me and 2) it’s reached trace pretty quickly. Side note: Look at how white it is! I added no color or fragrance! I’ve never had a soap this white! I kind of like it. Looks nice a clean. 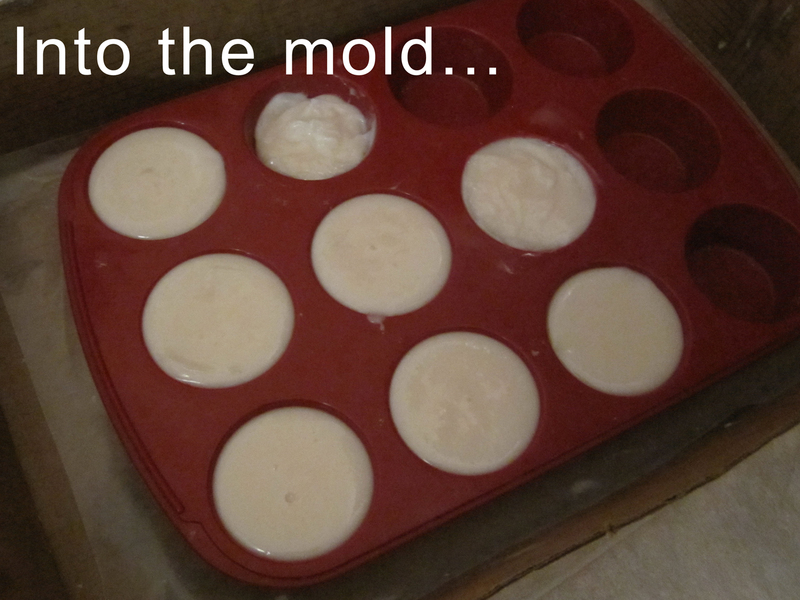 Note: The 8th mold that is only half filled and sloppy looking is my leftover…not enough to make a full bar. This bar is usually my test bar 😀 Nothing wrong with it, it’s just a smaller bar. 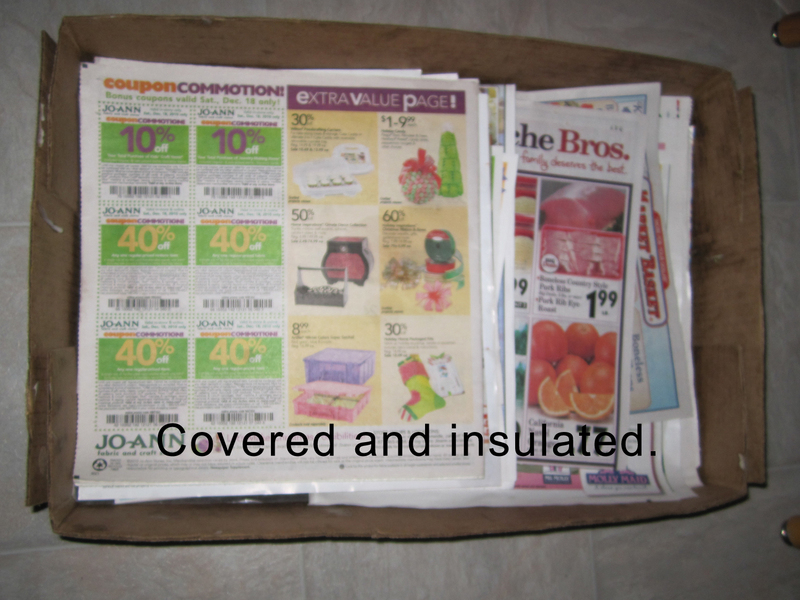 Step 6: Cover the soap with wax paper and then a couple weeks worth of newspapers to keep it insulated. When I’m pouring a loaf (not individual molds like this one) I also cover it with a heavy blanket to help it go through the gel phase as it cures. For this mold it would never really reach the gel phase so it didn’t bother covering it with a blanket. A quick peak the next morning and the soap has solidified nicely!!! I’m going to keep it covered and in the molds for 3 to 4 days. I find that sometimes recipes with vegetable fat and beeswax in them tend to form soda ash on the top layer of the soap more easily than other bars. If I leave them covered and in the molds I should be able to avoid that from happening. Just going to be on the safe side. 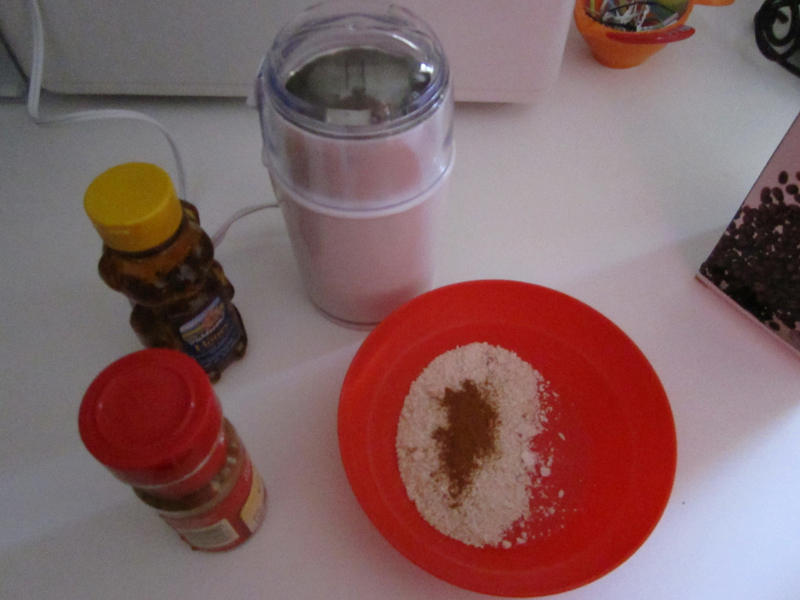 Experimenting: Oatmeal, Milk, Honey and Cinnamon! I really like the Oatmeal, Milk & Honey (OMH) fragrance oil (FO) I have. The problem is that the FO doesn’t like the Cold Process (CP) soap recipes I’ve tried it on. It tends to separate the oils making it hard to use. I’ve been trying out different recipes with the FO trying to find one that worked. I’ve realized that my “basic” recipe of coconut oil, palm oil and olive oil doesn’t work at all with this FO. Nor does my coconut oil and cocoa butter recipe. 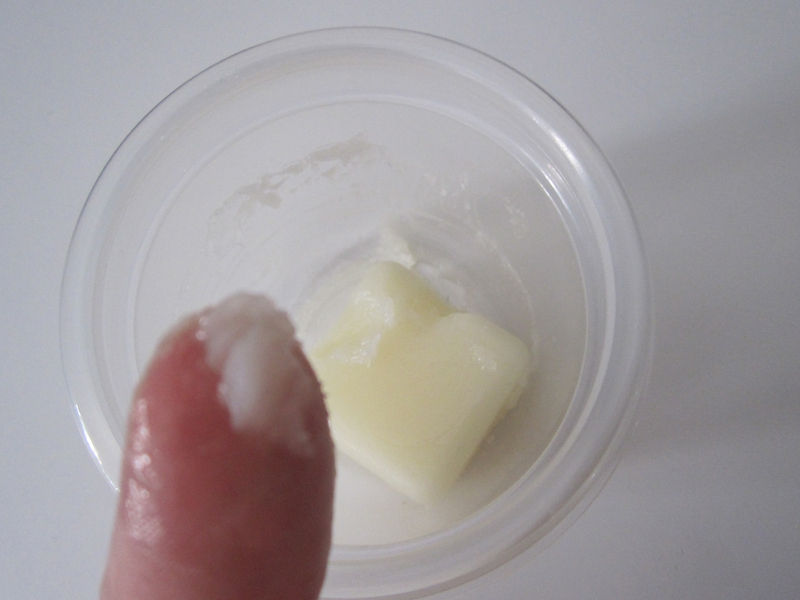 I tried another moisturizing recipe that has a quick trace and it worked (in that the oils didn’t separate) but I came across a few problems. 1) I can’t add color to the bar…the FO does wacky things to it resulting in a brown soap every time. 2) Even with this recipe it was still a really soft bar that took 6 weeks to really harden. Since I really love the scent and didn’t want to give up on it I started searching for other recipes I could use. I came across one that called for the actual use of honey and oatmeal in the recipe. So I tried it. All in all it seems to have worked (haven’t used it yet as it needs another 3 weeks to cure). The problem is that after I poured it and it started to cure a massively thick layer of soda ash formed on it. I was able to easily scrap it off, but it’s a pain, and a sign that the recipe didn’t work perfectly. It seemed though that the addition of oatmeal and honey worked well with the FO. Ground oatmeal, some cinnamon and honey! Ready to go into my soap mixture! Yum! Looks good enough to eat doesn't it! Incorporating everything I knew I decided to try the recipe I use for my vanilla bar of soap which uses vegetable fat, coconut oil and beeswax. It too had a quick trace AND it’s a super hard bar. Last night I experimented with this recipe. I grounded up some oatmeal (almost powder thin, but with a few larger pieces of oatmeal to give the bar some texture), added some cinnamon (more for the fun speckled look it gives the soap) and added some honey. 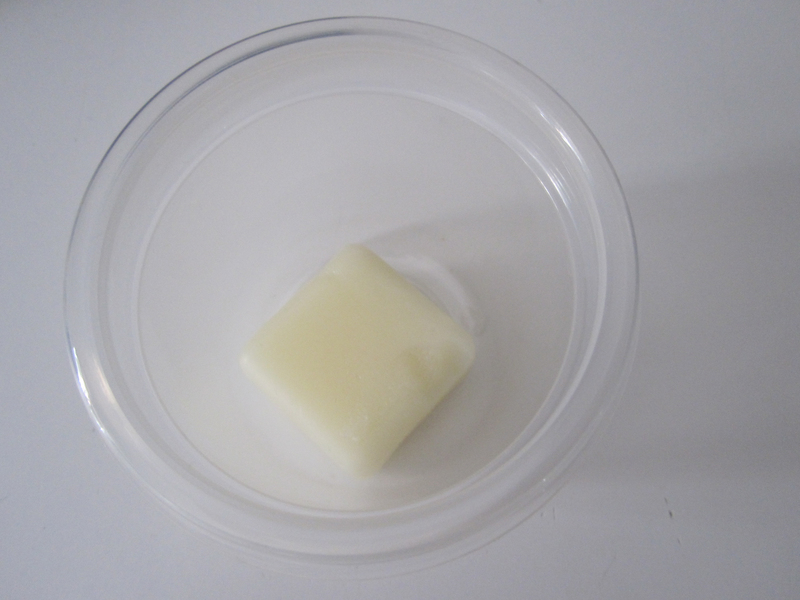 The soap traced nicely, all the additives mixed well and it poured into the molds with no oil separation! As of this morning the bars look really good. Hardening up nicely. So phase one was a success. Now I’ll have to see how they come out of the molds if they harden “quickly” and then in six weeks I’ll tests them and see how they work in the shower. Really hoping I get a nice hard bar with great lather!